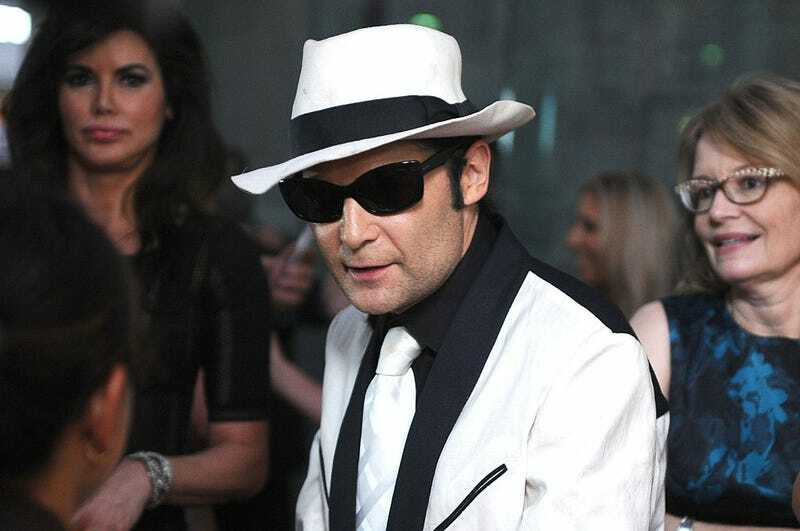 TMZ and CNN are reporting Corey Feldman drove himself to a Los Angeles hospital after being stabbed outside his car last Tuesday night. Actually, the way the actor tells it, he was stabbed while stopped at a red light in kind of a group attack. Feldman claims three men approached his car, and while his security personnel dealt with them, a fourth man arrived on the scene in a separate car and stabbed him in the abdomen before fleeing. Feldman posted about the harrowing incident on Twitter. CNN spoke with LAPD officer Drake Madison, who explained “a person opened the driver door, made a stabbing motion at the actor’s midsection and then fled.” It’s remains unclear whether Feldman was in fact stabbed and with what exactly, though both outlets report there was “redness” on the actor’s abdomen.